Culver’s has earned it’s Welcome to Delicious reputation by cooking every ButterBurger to order and crafting every batch of Fresh Frozen Custard throughout the day, same as we always have. As Craig Culver will tell you, Culver’s ButterBurgers are made the way they are today because that’s how his mom always did it. We use fresh, never frozen, 100% Midwest beef, seared to perfection and served on a lightly buttered toasted bun for that extra touch of goodness. Sure, it takes a bit longer, but is it worth the wait in freshness and flavor. Culver's wouldn't be what it is today without the family farms that grow and produce the wholesome, delicious food we so proudly serve. From the cattle ranches of the Great Plains to the dairy farms of Wisconsin and south to Georgia’s chicken country, it’s important to us to make sure farm families across the nation clearly see how thankful we are for their hard work and dedication. Our big, blue barn is just one of many ways we’re showing our gratitude. Culver’s also remains committed to sourcing the finest ingredients America’s growers have to offer. So now, through our partnership with the National FFA Organization, we are giving back to today’s farm families, while helping ensure the future of the next generation. 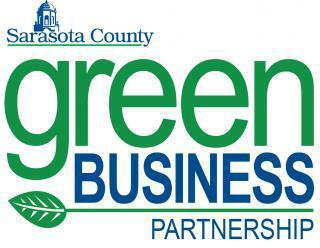 As a Green Business Partner, Culver’s of Sarasota is doing their part for the environment. Most notably, the restaurant has investing in a large solar canopy at the entryway and array on the rooftop. The total solar array is one of the largest in Sarasota County at 33kW, producing over 3,800 kWh per month. Other energy saving measures at Culver’s includes: LED lighting, hot water booster and programmable thermostat. Employees also look to turn lights off in unused areas, as well as computer equipment is placed in stand-by settings. The restaurant has an active recycling and waste reduction program. Owner Jenny Craig purchases recycled content items such as napkins, bathroom products, patio furniture, food containers and to-go bags. Culver’s eliminated single use ketchup and mustard packages, opting for bulk dispensers. Used cooking oil, cardboard, kitchen food containers, and toner/printer cartridges are recycled. The restaurant is also very active in our local community. Culver’s works with local schools, Make a Wish Foundation, All –Faiths Food Bank and Harvest House.